Submitted by boogley oogley on Tue, 04/27/2010 - 10:05. Submitted by k2walters on Sun, 05/16/2010 - 03:46. Halo Reach Beta comes out with Halo ODST. It will be out May 5th to May 7th. Submitted by Firefox365 on Mon, 04/26/2010 - 20:55. Submitted by xxunkillxx on Thu, 05/06/2010 - 09:59. Submitted by John Yautja on Mon, 04/26/2010 - 18:40. No, Bungie has already said that The BETA Will last as long as 2 Weeks tops, unless there is a MAJOR bug in which they must shut down the BETA for a week, then we would have an Extra Week to play, You wouldn't want to be TOO spoiled of Reach, otherwise you won't want to buy the REAL game. Submitted by B173Y on Mon, 04/26/2010 - 09:46. Also, the longer the beta's available, the longer Bungie has time to find and correct bugs, raise Reach's public visibility, and of course make more money off Halo 3.5. Submitted by boogley oogley on Tue, 04/27/2010 - 10:06. Submitted by gokugamer on Sat, 05/15/2010 - 07:30. THEY MEAN HALO 3 ODST CHAPERO (LOOK UP CHAPERO)! Submitted by D3thiz here on Mon, 04/26/2010 - 12:03.
well we have a file share? Submitted by karurser_05 on Mon, 04/26/2010 - 15:09. 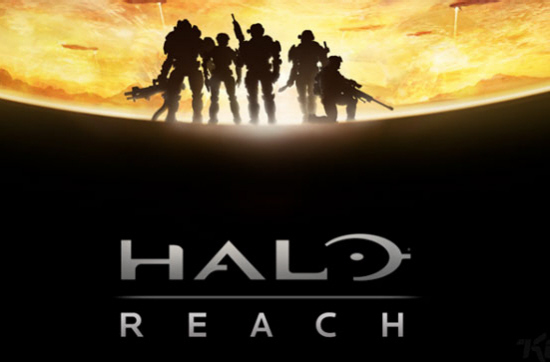 Submitted by Spartn Chris on Tue, 04/27/2010 - 18:11.
is reach playable offline i.e. lan or vs' (custom games)? and if so can we still play it after sed cutt off date? Submitted by Tydude0789 on Tue, 04/27/2010 - 23:02. No, you need an Xbox-Live Gold membership. Submitted by firefreak484 on Tue, 04/27/2010 - 22:46.
do i have to join gamefly in order to play the beta on Halo 3: ODST or can i just start playing from ODST on May 3rd? Submitted by Tydude0789 on Tue, 04/27/2010 - 23:01. So if I rent it. I have access. But don't I need a beta key or invite to the beta? Submitted by JORD on Wed, 04/28/2010 - 03:47. Submitted by biggest of big t's on Wed, 04/28/2010 - 18:35. Submitted by tkpackfan on Thu, 04/29/2010 - 19:34. Submitted by iflod101 on Thu, 04/29/2010 - 22:12. Can someone plz help me. I look at the ODST Intel menu and every time i try to download anything off of it it says "You are not permitted to download content of this rating." But every time i check m profile and system settings, it says i can have unlimited access to anything i want. So is this a glitch? Is there a work around? Could i get my friend to download the beta from his profile on my Xbox so that i could play? Plz help, theres only 4 days and 2 hours to figure this out! Submitted by legatobluzummer on Sat, 05/01/2010 - 19:11. Submitted by iflod101 on Mon, 05/03/2010 - 09:47. Thx guys this actually helps a little. I hope it works. Submitted by flamewlf59 on Sat, 05/01/2010 - 11:03.
i heard ther iz a webste 2 get da beta earli iz it tru? Submitted by legatobluzummer on Sat, 05/01/2010 - 19:05.
and do you have to have the disk in the xbox while i play the beta? Submitted by flamingskullz on Mon, 05/03/2010 - 04:30. Submitted by tridragon on Mon, 05/03/2010 - 04:51. Submitted by notourious GFW on Mon, 05/03/2010 - 05:53. Submitted by iflod101 on Mon, 05/03/2010 - 09:44. Everyboty thats freakin out about the beta. Dont worry its coming out soon. UK is expected to b out around 8-9pm, West US 11:30-12:00AM/PM and for the East your looking around 2:30-3:00PM. Submitted by nick804 on Tue, 05/04/2010 - 15:03. Submitted by Vcize on Fri, 05/07/2010 - 08:36. You don't get an "invitation" to the beta, there's just an option to play it in the menu on the ODST campaign disc. Boot up the disc and you will see the option. All copies of ODST have it regardless of when you bought it. Submitted by vin deery on Sun, 05/09/2010 - 03:40.
put Beta on normal Halo3! Submitted by gman on Wed, 06/02/2010 - 17:17. Submitted by Delta12333 on Fri, 06/11/2010 - 07:04. Submitted by reeceaclarke on Thu, 09/02/2010 - 23:59. Submitted by tully on Wed, 07/28/2010 - 05:48. Submitted by Antione______\.=. on Fri, 07/30/2010 - 23:42. Submitted by tully on Wed, 07/28/2010 - 05:47. Submitted by Antione______\.=. on Fri, 07/30/2010 - 23:38.
what if you buy a new odst like i did and found the invite to halo 3 odst multiplayer beta. where do i go? Submitted by junior on Sun, 08/08/2010 - 02:51. Is there another halo reach beta coming soon????????????? Submitted by playaplaya247 on Wed, 08/11/2010 - 13:50.
could you still play the beta after the expiration date on the beta still for 2 weeks? Submitted by phoenixreaper179 on Wed, 09/01/2010 - 22:56.
can i still go to the beta even if i dont have the game but still play it on halo 3 odst by halo reach comes out?